This was one of my first projects that I ever did. I had card board boxes from numerous deliveries and these magazines came from some subscriptions from Just Fab (we will definitely talk about the awesome deals on JustFab.com) and I needed a place to store them. Organization is the name of the game. So after browsing Pinterest, I saw this neat idea for file storage and decided- it would be able to be created at a larger size so that I can store magazines. 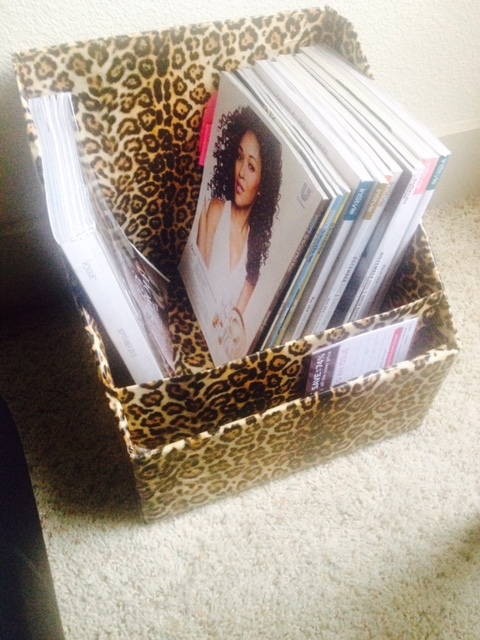 Lets look at how I created this magazine storage with a paper compartment. 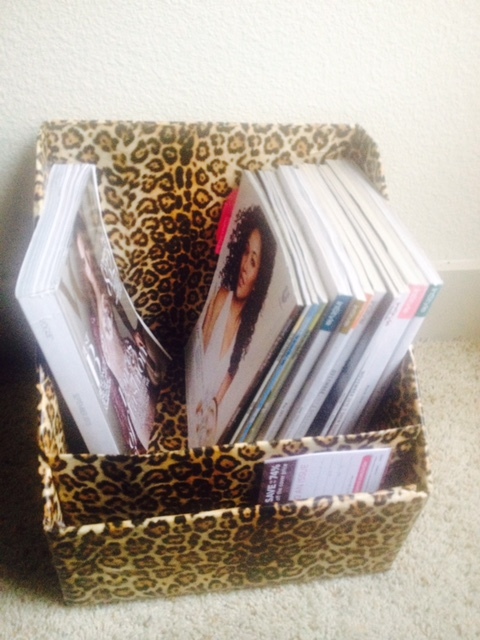 So lets get into this simple DIY magazine, file, or notebook rack (or whatever you would like to store inside). I started with a regular box and cut all of the flaps off. I drew a line across the front of the box using a tape measure. Once I cut the sides, I cut along the previously drawn line, which created the bottom picture shape. The next step is to create the sides, which I did by drawing a line using the tape measure at a 45 degree angle. Lastly I wrapped the entire box and one of the flaps with wrapping paper. The flap was glued down to the front to create a space for the loose postcards located in the magazines.